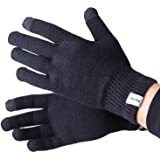 EvridWear Black Unisex Winter Merino Wool Gloves with 3 Touchscreen Fingers protect your chilly hands when texting, typing, writing in freezing winter. Enable to use the touchscreen fuction, please make sure to wear to the top of each finger, especially the 3 touchscreen fingers. I didn't care about the phone touch sensitivity. 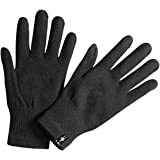 I just wanted warm gloves as liners for my ski gloves when I go skiing. 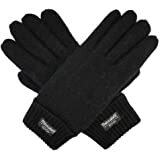 I have Merino wool socks that are wonderfully warm, but these gloves don't measure up. 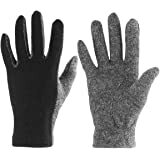 I compared them to cheap, thin, stretchy Walmart gloves yesterday by wearing one Walmart glove and one EvridWear glove yesterday while shoveling my sidewalk in 17 degree weather. I didn't notice any difference. Both of hands were equally freezing in about 12 minutes. 5.0 out of 5 starsWell Made, Handsome, Comfortable, Fits, What's not to like? 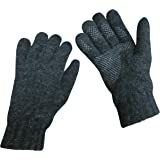 These are pure wool gloves, so the price for such a product is great. They fit well, feel good and have a nice appearance. The only minus is that the fabric is a little think. 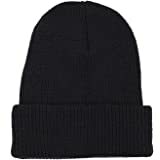 In practice, though, this won't matter: If you need serious warmth, you will need to put on another layer, even with a thicker wool glove. The gloves worked with my phone, which was why I bought them. 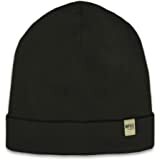 I would have given 5 stars but they were nowhere near as warm as I expected for Merino wool. That was the reason I paid for that wool. But it came on time and they didn't advertise it as the warmest gloves on the planet so that was just my expectation based on the material. Would purchase from them again. Not bad quality and working "touchscreen" tops. But looks like they just added "touch" tips and forgot about additional length. 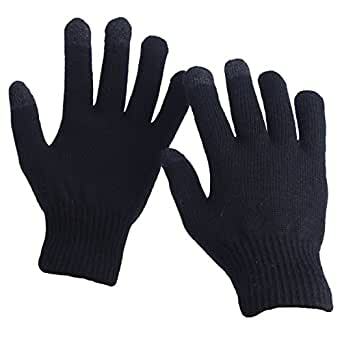 I'm a musician and I have long enough fingers (longer then usual), but even for me it is unconvenient to fit my fingers in the gloves. Love the fit, feel and warmth of these gloves. However, the hem seams around the wrist immediately started unravelling and the touch screen fingers are iffy. Often end up pulling a glove off to use my electronics. But the gloves are so comfortable I'm keeping and resewing the wrists. very cheap quality, generic gloves. started to wear off after a few times very light use. With this groves, It’s really convenient to use iPad while traveling in places where there is no adequate heating either indoor or outdoor. 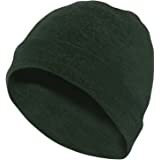 The groves can also be used as inner one in adjunct with a winter groves to additional protection in cold outdoor sports such as skiing.